WASHINGTON, Jan 8 - RIA Novosti, Ekaterina Sobol. The unstable situation with oil prices will lead to the fact that in 2019 the US energy industry, which is based on oil shale projects, has to tighten its belts for a while: a number of projects will be underfunded and refuse to expand, some will be suspended, others will be closed , told American analysts polled by RIA Novosti. 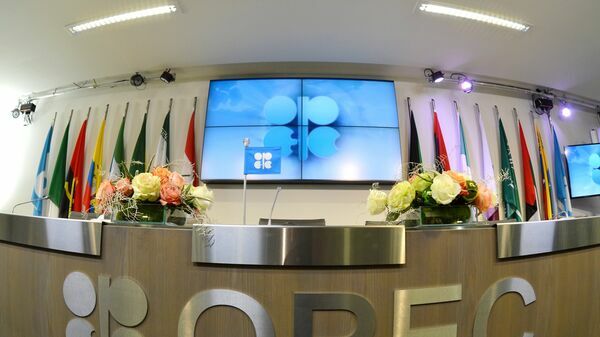 According to them, in April the industry will feel a positive effect from the revision of the OPEC deal, the situation will stabilize, and a new round of shale revolution will begin. 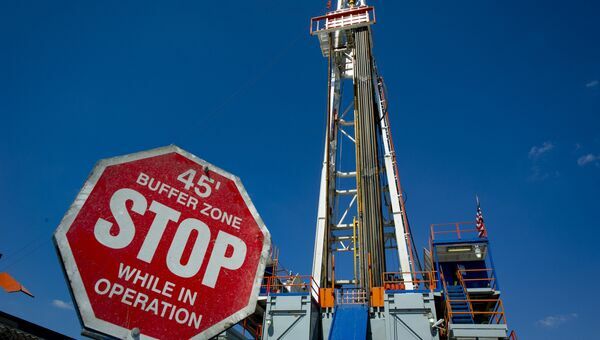 Stop the continuation of the shale boom in the United States can except that the fall in the cost of WTI crude oil to $ 25 per barrel, but it is unlikely the world's largest producers will allow the price of "black gold" to fall so low, confident the agency interlocutors. At the beginning of December, Ryan Zinke, then US Secretary of the Interior, who was in charge of American natural resources, gathered his subordinates to tell the good news. “Christmas came earlier this year,” he happily began his presentation, and then told us that the estimate of oil reserves at the largest field in the United States, the Wolfcamp Shale in the south of the country in Texas, was increased 2.5 times to 46 billion barrels. It would seem that now there is a real prospect for American manufacturers not only to break into absolute leaders in the extraction and export of energy resources, but also to gain a foothold there for a long time, overtaking the main competitors - Russia and Saudi Arabia. Already in September, the United States mined about 11.5 million barrels a day, while Russia had 11.4 million barrels, and Saudi Arabia had 10.5 million, the Energy Information Agency at the US Ministry of Energy reported. Difficult oil: what technologies gave rise to the "shale revolution"
Oil production in the USA continues to increase even now, but growth is not so rapid. 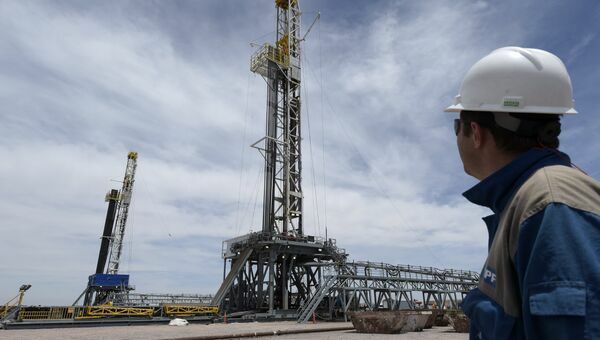 According to the American oil and gas service company Baker Hughes, a GE Company (BHGE), the number of oil rigs involved in the country for the week ending December 28, grew by only two - to 885 units. This is lower than the average for the year (about 2.7 rigs per day). On the US energy market, there is a correction. All because of the sharp drop in oil prices. From mid-September to December, when it was trading in the $ 50 a barrel corridor, the price of oil collapsed by 20%. By Catholic Christmas, the situation had stabilized slightly - the price of February futures for WTI crude oil rose by 1.79% to $ 45.39 per barrel. But trading data indicates that while the main trend is still down. "We are closely monitoring the oil market. Futures show a trend of 40-42 dollars per barrel, and perhaps this is not the limit. In January-February, prices may fall by another 5-10%. Valuation (the potential of stock returns versus price on the market - ed.) 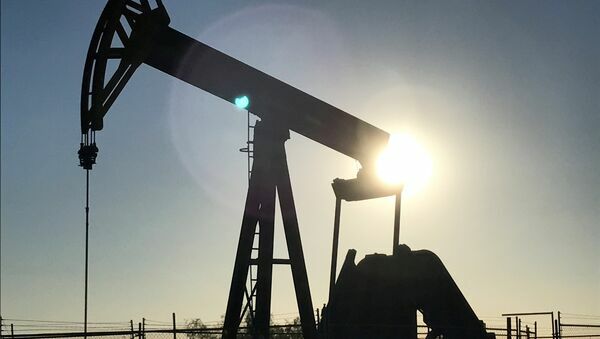 US oil companies have already decreased by 10-15%, and this happened just last month, "says portfolio manager Principal Investors Kyle Shostak. According to him, there is a crisis in the industry. Shostak expects market adjustments, and the main blow will come from new companies. He adds that an additional factor of pressure on the American oil sector was raising the Fed's rates to 2.25-2.5%. This means that the cost of borrowing for recently launched projects that require large investments increases significantly. In 2018, the rate rose four times, for the next year two more increases are predicted. Analysts of Bank of America - Merrill Lynch in their review for investors (available at RIA Novosti) also point to the vulnerability of the commodity sector to the strengthening of the dollar. Questions of psychiatry. 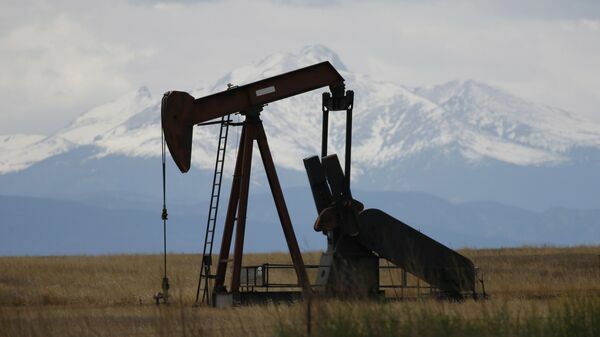 The US Congress accused Russia of attacking shale oil. “It is projects that were launched a year ago and earlier that have a chance to seriously sink, mothball or become bankrupt,” Shostak says, adding that he also sensed the caution of investors through the example of oil companies with which he cooperates. The competitors - oil giants from Russia and Saudi Arabia - against the background of falling oil prices will have an advantage in the form of potential measures of state support, the expert is sure. "The governments of these countries see the industry as strategic. The US will not be involved in state support," he says. The expert stresses that even with oil in the corridor of 30-40 dollars in general, the industry is able to survive, albeit with losses. "The money will become more expensive. However, we can not say that this industry will lie on its side," - says the source RIA Novosti. Partner of EWSA consulting company Michael Moore adds that only oil prices of $ 25 per barrel and less can cause a serious blow to the oil industry in the United States - then we can expect a collapse of projects and the maintenance of towers. “But this is too high a price for defeating the United States in the war for market niches, therefore, with a high degree of probability, the OPEC + deal on production correction will remain in force. This in turn will play into the hands of the United States, which will not agree with anyone,” - he is sure. OPEC and a number of non-organization countries, including the Russian Federation (OPEC +), reached an agreement in December on a new reduction in oil production — a total of 1.2 million barrels per day for all countries from January 2019 over half a year. Terence Smith, director general of the Washington analytic agency Smith "s Research & Gradings, agrees that the problems of the US oil sector are temporary and avoidable. In his opinion, the largest American investors on New York Wall Street are generally positive about the future of the US oil and gas industry. According to the analyst The situation is temporary. From the middle or end of April, Texas can expect a new oil boom. Shostak explained this forecast by saying that the market will feel the effect of the revision of the OPEC + transaction on the correction of oil production. Merrill Lynch points out that the demand for most commodities in the world should remain stable in 2019 because of forecasts to strengthen global growth. Stronger economic growth in emerging markets, in China and Brazil, is also expected in comparison with previous forecasts. Bank analysts do not exclude that this positive outlook can be adjusted if parallel risks are realized in the form of, for example, economic shocks due to the US and Chinese trade wars, slowdown in Europe or a harsh Brexit scenario. Then the demand for energy will decrease, which means that it will put additional pressure on the price of oil futures on world markets. WWF: “greens” in the United States did not take money from Russia to fight shale oilReceiving any government money is fraught with loss of reputation and its own supporters, RIA Novosti said in the fund.